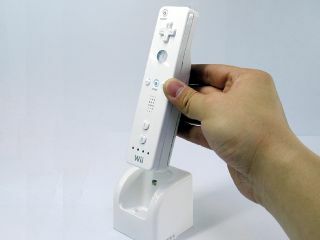 Will the Wiimote be bumped by something even more unexpected? We can file this one under 'stating the obvious', but it is worth outing some of the rumours doing the rounds about Nintendo's plans for a successor to the Wii. Speculation can be found under just about every online rock, so the roundup at What They Play is as good as any. The gamers there have looked at Nintendo's mushrooming R&D spend and concluded that Wii 2.0 is as good as in the bag. An increase over the last five years of more than tenfold certainly suggests something more than the DSi is in the pipeline, but we'd be astonished if it wasn't. Still, the assertion that Nintendo is already showing developers secret presentations about a high-definition console that will be ready in 2011 ring true. As well as high-def graphics, we can expect better storage and that the Wii name will be retained next time round. We predict an official announcement in, oh, something like September 2010, so hang in there.